[Contest Ended] Spread The Love and WIN SoundCore Boost! Greetings! We have heard so much that how you love SoundCore Boost! Our BassUp technology gives SoundCore Boost a unique enhancement for your music. Leave a comment below containing our hashtag, #BassUp, and share the videos on Facebook for your chance at a new SoundCore Boost! Write #BassUp in the comments below and share the videos on Facebook! We will randomly pick 2 winners to receive SoundCore Boost. Contest runs from October 12th 00:00 PDT to October 16th 11:59pm PDT. The winners will be announced on the Anker Community on October 17th. Congratulations! You’ve won our SoundCore Boost! Time flies! Our contest is now over, I hope you all enjoyed our #BassUp videos! If you've won, you will be contacted this week to arrange delivery of your prize. Congratulations! Everyone else - keep participating and stay tuned to the community so that you don't miss any new giveaway announcements! OMG i would like a SoundCoreBoost @AnkerOfficial ! Heard so many good reviews about it! Spice up your on the go life style with some #BassUP! 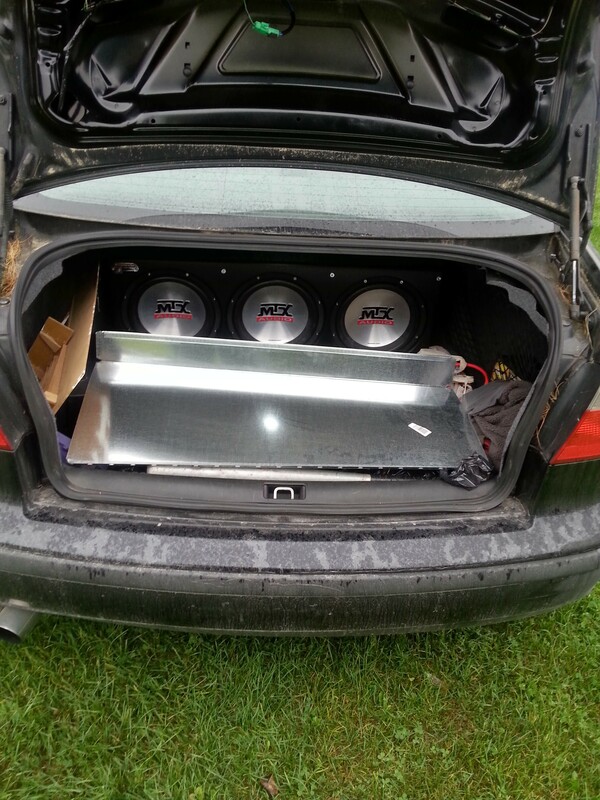 I need to #BassUp with a SoundCore Boost. No dynomat, I stripped my trunk and gutted everything that bothered me and then sprayed rubber sealant throughout. Imo it works better than the dynomat ever did. I'm also seriously underpowering the subs since they handle over 1500 watts and I'm just using a raw 600 watt California amp. Eventually i will get a better amp, but this one has yet to die and I keep trying to kill it. For subs I'm usually a Rockford Fosgate kinda guy, but the deal for these were too good so I couldn't pass it up.